Only a few new beta updates for A Valley Without Wind this week, but they add and/or improve upon quite a vast amount of stuff. So much in fact, that we're already gearing up for 1.2 official sometime in the first part of July. If you're wondering how we got from 1.1 to 1.2 this fast, following the lengthy 1.0 to 1.1 development stint, Chris goes into detail in the latest beta update summary. In other indie/self-promotion news, I've kicked off a new video interview/preview series on Indie Game Magazine called Indie-View (best name ever right?). I play host and Kevin Harland, the man responsible for putting together AVWW's trailers, does the shooting/editing. Our first episode stars Matt Gilgenbach of 24 Caret Games and his game Retro/Grade. We're hoping to have a new segment with a different developer and game once or twice a month, we'll see how it goes. AVWW Post-Release 1.106-1.108 "Construction Sometimes Starts With Demolition" Released! This one is perhaps surprisingly substantial given the scope of what was released just yesterday. First of all, there's some various balance/bugfix stuff relating to the new levels system, etc. Aside from one major gaffe with not saving the stockpiles when you exit the game, this has been surprisingly trouble-free so far. I know there's been some discussion on the forums about various aspects of the new balance, but please don't hesitate to let us know your thoughts and suggestions further. We're aiming to have a polished version 1.2 ready to go next Friday (the 6th), so we really want that feedback. Through Monday or Tuesday Keith and I are going to be particularly heads-down with implementing new stuff (more spell modifiers on his part, the citybuilding revamp on my part), but we still want to know what you think during this time. We'll address the most critical stuff as soon as we can, and in general do the bulk of our polish pass on Thursday and Friday of next week once we do a feature freeze on Tuesday (Wednesday being a holiday for us in the US). So What's This About A New Citybuilding System? Well, we're off to a great start with this. There's still a fair bit to do to make the new system fully in place, but given so much infrastructure was already there we're pretty far along on it already. All the old parts of the citybuilding that are going to go away have already gone away, and all the new buildings are in place and you can actually buy them and place them. On the other hand, the new buildings and the NPCs are currently pointless. Guardian power scrolls are now something that you trigger directly yourself, so NPCs and so forth aren't needed for that. Hence the name of this release -- sometimes to do something new, you first have to do a little demolition to make way for it. Regarding the new structures, if you've got a lot of NPCs in your towns on your continents, I strongly suggest working on getting 1 farm for each 6 NPCs prior to Tuesday. Otherwise the NPCs will start starving to death at a rate of 1 NPC per continent per in-game day (10 minutes) once that later update hits. Or, on second thought, we'll have to just make it part of the upgrade logic to make sure there are enough farms to support the populace when that version is upgraded-to. So nevermind. What's Coming With The New Citybuilding System? Citybuilding was one of the feature we were most excited about in alpha, and it was something some people enjoyed in beta, but it was always really disconnected from the rest of the game. The new system for citybuilding has you constructing your buildings right on the world map like you do wind shelters or ocean buoys, so everything is tightly integrated and there's no extra interface that you have to put somewhere else. The scale of what you're doing now is also different -- you're working to make sure that your NPCs are skilled in their profession, that they are in a good mood, and that they are fed. Then you will be able to use them on dispatch missions where they go do things for you like find a specific resource that has been eluding you, destroy an ice pirate patrol, or weaken the overlord. And on higher citybuilding difficulties the overlord will be stronger so that you need to use your fellow survivors to do just that. And of course this is just our plan for 1.2 -- something reasonably simple that doesn't involve a lot of micromanagement or distraction from the main game, but which instead augments it. Beyond 1.2, we'll be entertaining other ways of expanding the citybuilding to do even more with NPCs; and with structures, for that matter. There will finally be graveyards, and the vengeful ghosts will be more integrated with that sort of system, for instance. But that's all stuff for 1.3, because it will take more balance testing than the current crop of citybuilding changes for 1.2 is expected to. In terms of the details of the dispatch system and mood system so forth, we'll explain all that in the release notes on Monday and Tuesday as that is coming ready. So, as mentioned, our plan for having 1.2 polished and "final" is Friday the 6th. With a feature freeze on Tuesday the 3rd. We don't plan on releasing 1.2 until Monday the 9th, however. That gives players a weekend with the final release candidate, and we'll only make any changes to 1.2 after that point if something critical is found. After that, starting on Monday we'll be plunging right into work on 1.3. Between 1.0 and 1.1 there was an entire 40 day span, so this might seem a bit sudden, but 1.1 was not only deep changes but also wide (touching almost every part of the game). The changes in 1.2 are deep, but much narrower -- just touching things like tiers (now levels) and citybuilding, etc. Most of the infrastructure and balance hasn't had to change, and we're also not dealing with a bunch of pre-1.0 bugs that only got discovered once there was a wider audience this time, either. Anyhow, the triumvirate of major new 1.2 features -- linear levels instead of tiers; procedural spells; new citybuilding -- are substantial enough that we don't want to get into a cycle where it takes another few months for those changes to find their way into the hands of players not using the latest beta. It really feels like we're hitting a tipping point for the fun factor of the game with these changes, so I guess we're understandably eager to get them out to as many people as possible as soon as possible. And to that end, that's why if there's something that is hampering your fun factor with the new system, please do try to let us know what we might do to be able to help you. I mentioned the coming dispatch missions for specific materials in particular because I think that will solve one current issue, for example. I'm going to be very much away from the computer this weekend with holiday celebrations, so if there's something critical that needs to be fixed before Monday I hope people find it tonight. ;) Otherwise more to come Monday. Enjoy! UPDATE: 1.107 is now out thanks to the quite timely efforts of some players running across some of our recent bugs from all these changes. A couple of these are fairly severe, but the rest were just cleanup things that I did because apparently I was up anyhow. ;) Knock on wood, hopefully this is the worst of it until Monday, but let us know either way if you're seeing stuff! UPDATE: 1.108 is now out with a couple of more tweaks. This is a standard update that you can download through the in-game updater itself, if you already have 0.500 or later. When you launch the game, you'll see the notice of the update having been found if you're connected to the Internet at the time. If you don't have 0.500 or later, you can download that here. AVWW Post-Release 1.104-105 "The Victorious Return Of... Levels!" Released! This one is as ginormous as they come, even for us here at Arcen. Where to even begin? At the broadest level, the idea here is that it's more of a traditional RPG flow now. None of that "New Game+" stuff when you get to a new continent and are kind of starting over except for your enchants. People found that annoying, and we finally figured out a better way to handle that than the alternative we'd been using prior to November in the beta. World map missions now give spells instead of anything else. And each spell has some procedural bits to it now, giving it extra bonuses or whatnot. This means that even two different copies of "Fireball 2" might not be equal to one another. This isn't exactly a new idea, as both Diablo and Borderlands and many other games do this sort of thing. And we already do procedural loot with the enchant system, too. But now we have more procedural loot. In this case that's particularly important because it encourages players to sample more widely from the selection of spells in the game rather than trying to find "optimal loadouts" that are global for every continent on every world. If the stats vary, then the optimal loadouts are by extension also going to vary. So far we only have 6 different modifiers for spells, so that's actually kind of underwhelming compared to where we're headed with this. We'll be working on more of those this week and next, along with some... other unrelated exciting stuff yet to be disclosed. Keith wanted me to make sure you wouldn't be disappointed with just 6 modifiers on this first release, though. Just getting all this framework stuff converted over and all the new systems balanced as best we can tell has been quite a job in itself, and I kept distracting him from adding more modifiers like he had been wanting to do. Spells are still crafted, but that's now only one of two ways to get them. For most spells -- some spells can only be found via crafting, actually. And the most elite versions of spells still need to be crafted using the new Rarity Orbs that the release notes explain in greater detail. But anyway, we wound up having to redo all the crafting costs for all the spells. And the unlock conditions for a lot of the arcane ingredients, and the unlock conditions for spells themselves (which can now have direct unlock conditions, at long last). So... yeah. There's a lot of shifts here, designed to get you up to speed and playing and having fun with a unique world of your own as quickly as possible. First of all, the way that the resources are captured and stored has been changed around. There may be some things we need to do regarding resource trading or similar (some players already have concerns about that), but we'll see what people think when they have their hands on it. The old system was actively (though unintentionally) rewarding players for playing co-op in a "everybody goes their own way in the same world and we therefore get max resources from this" fashion. The new system allows for people to go off and fend for themselves if they wish, but also makes it just as fruitful for them to stay together (which would seemingly be the point of co-op play, eh?). Also the much-discussed enemy health multiplier has been reduced in multiplayer, despite our logical arguments and objections, because the perception was that you were losing out if everyone was in the same chunk fighting enemies together. Now even the most casual of math and logic will show that it's in everyone's favor to be together, but you aren't punished for going off on your own either. Something people have wanted for a long time is the ability to take one item in your inventory (say, as stack of wood platforms) and make a copy of that so that you can have it on multiple ability bars at once. Well, today is the lucky day that this now has been implemented! There's a really awesome new desert music track that now plays sometimes when you're indoors or in caverns there. A couple of new unlockables and a number of reassigned ones. 100 new rooms courtesy of BenMiff once again (if he keeps this up, half the rooms in the game are going to be his before too long!). Also along for the ride are some miscellaneous bugfixes, intro mission improvements, and encyclopedia improvements. UPDATE: 1.105 is now out to fix a couple of bugs, one of which was rather critical -- your crafting inventory would not survive save/loads in the prior version because apparently we forgot to hook that up to even try to save. Very sorry about that! Hopefully people either have backups from prior to 1.104 or had already spent most of their resources anyhow. A Valley Without Wind 1.1 is officially out (along with an official hotfix) and we're happy to hear some really great reactions from players and press, including Tom Chick of Quarter to Three weighing in on what he's enjoying about the new update. We've built up quite a long list of links over the past couple weeks as our game saw some great coverage thanks to IndieCade's E3 showcase (Jessica Conditt of Joystiq surprised us with this awesome piece). It was a great group to be a part of, and I myself got to talk to a ton of cool industry folk—several of which checked out and seemed to really enjoy their time with our game. I also got to check out a ton of cool indie games right next to me. My favorite of which was Hokra by awesome developer/nice guy Ramiro Corbetta. I also had the pleasure of meeting veteran indie devs Erin Robinson and Steve Swink, who we're showing off their new projects as well. Erin's working on a clever and fun puzzle platformer Gravity Ghost, and Steve really stole the show with his first person create/modify game Scale. Deihlanos: Let's Play A Valley Without Wind #2 -- Giant mecha thunder wasps and.... bats. MrSollkre: A valley without wind | Ep.1 | Okay! AVWW Official Hotfix 1.103 Released! This one adds a couple of last little tweaks in to the fixes we already had in 1.102 yesterday, and now this is our hotfix version -- essentially we felt a couple of these changes were important enough to go out to all customers immediately rather than waiting until the official version of 1.2 comes out in a few weeks. Internally we've been working on 1.2 behind the scenes now that that has been all mapped out, and we should have some post-release betas of that to share with you hopefully this week, but early next week at the latest. We're excited about how this next evolution of the game is shaping up! AVWW Post-Release 1.102 "Stop Wiggling!" Released! This one is pretty much a bugfix and slight polish version. If things look solid here, then we'll do a hotfix official version tomorrow -- so let us know if you see any problems or if everything looks okay! Internally we've been mapping out what we're going to do for 1.2, and work on that has started in a separate branch from this bugfix/polish stuff. We're excited to share our plans for that with you soon. Arcen Games is ecstatic to announce the official release of A Valley Without Wind 1.1, available now as a free update for the procedurally-generated open world sidescroller through its various digital distributors. * Over 160 new room maps. * A new "craggy highlands" region/biome type. * Substantial rebalancement of most player spells. * The ability to give "wait here" orders to NPCs in rescue missions. * Larger and more intricate continent designs. * Rebalanced and streamlined strategic flow. * No more Civilization Progress (CP) in favor of better mechanics. * One central in-game currency rather than six. * A new "Opal Guardian Store" in settlements. * Loot drops from trash mobs, for use at the opal store. * A better enchant-based system of upgrades in place of upgrade stones. * New Feet enchant slot, splitting out items from the Legs slot. * Streamlined character selection/creation process. * Unique attributes for characters by time period. * More enchant-like unique attributes for every individual character. * Heavily revised and rebalanced existing missions to player feedback. * New Freefall and Boss Delve mission types. * More rewards from doing secret missions. * No penalties/drawbacks from doin world map missions. * More gradual ramp-up in difficulty of the harder mission types. * New spell scroll that you can find and use to turn yourself into tiny t-rex. * A "shopping list" system helping you to keep track of your self-set goals. * Many improvements to the existing planning menu in general. * Smaller, more fun lieutenant towers filled with infestations. * More fun and threatening windstorm mechanics. * Many new multiplayer admin commands (largely anti-griefing-related). * Vastly more fun ocean exploration. * Minor continent-wide bonuses from building settlement structures. * Longer durations on continent-wide guardian power scroll uses. * Filtering to the enchants inventory for vastly easier management of many enchants. * Improved elemental strengths/weaknesses for enemies in general. * Much better (completely randomized) elemental strengths/weaknesses for bosses). To further round-up what's been happening with the title over the past two months, Arcen CEO Chris Park offers an in-depth reflection on the massive amount of changes and additions between 1.0 and 1.1. A new trailer showcasing the update is available to view right now as well. Choose for yourself how to prepare to face the vastly stronger Overlord. Complete a variety of missions to earn arcane rewards, and/or roam the wilds to uncover secret missions and stashes of magical loot. Customize your characters with unique combinations of enchants and spells that change how you move, jump, and fight. Or rescue people and bring them back to your settlement, recruiting them to help you in return. You choose how to play, and the world adapts around you. The full version is available now on PC and Mac. A substantial demo is also available, granting full access to the game/multiplayer with only some tier restrictions. Even though AVWW has launched, it continues to grow with new content and improvements added nearly every weekday. Follow the game and its updates/discussions on Facebook, Google+, Reddit, and Twitter. To be a part of how AVWW evolves in any and/or all of its aspects join the ongoing discussion taking place within our forums. Members of the media: Interviews, review keys, and press kit materials are available upon request. AI War's third and largest expansion Light of the Spire marked Arcen's first release of 2011, and now the company has shifted its focus and excitement to the development of A Valley Without Wind. Originally a one-man shop, Arcen Games has grown to have half a dozen part-time or fulltime contributors to its various titles. For all the latest news, media coverage, and some of our other musings, follow us on our developer and individual game pages on Facebook or on Twitter: @ArcenGames; as well as Arcen lead Chris Park's Games By Design blog. 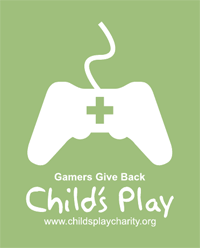 As of June 15th, 2012, we have so far raised and donated $34,494.20 for Child's Play! That's $3752.31 since our December update, all of which has already gone directly to the charity. In 2011 we managed to raise a total of $20,212.18, which smashed our 2010 numbers and well more than doubled our original goal of $14,000.00. This year is starting out slower since the expansion is aging, but a lot of our biggest income comes in the summer and the holiday season, so who knows. Either way, we couldn't be more pleased to be continually supporting such a worthy cause. When you purchase AI War: Children Of Neinzul, you're not only getting an exciting new expansion, you're also supporting an important cause. Arcen Games has partnered with the Child's Play charity, pledging 100% of the profits from sale of Children of Neinzul (excepting any taxes and distributor fees) to helping sick kids in need. The staff at Arcen has long admired the work done by Child's Play, and we're very excited to finally be able to contribute in a substantial manner. Our goal for 2010 was to raise $14,000.00 USD for Child's Play, but even after 2010 all of the proceeds from this micro-expansion are continuing to be donated to the charity. At the moment, this micro-expansion is available directly through the Arcen Online Store ($1.99 USD), as well as through Steam, Impulse, and GamersGate. AVWW Post-Release 1.061 "Release Candidate 8" Released! This one is the third release candidate of the day, and hopefully the last release prior to the official 1.1 version. There were a couple of more performance issues still present in the prior RC version that we've now fixed, but beyond that all other issues that we've deemed important enough to go into 1.1 have been taken care of. That said, we're still going to be cautious and give it overnight to let anyone find any issues there might be -- if you find anything, please do let us know! If there's something there, we obviously want to know about it; but of course our fingers are crossed that we can go ahead and put 1.1 to bed, because we're itching to get working on new features for 1.2. AVWW Post-Release 1.060 "Release Candidate 7" Released! This one is the second release candidate of the day. There are still a couple of very teeny things we want to fix up this morning, but aside from that this is going to be the 1.1 version unless someone finds a problem. So if there's a problem, we definitely want to know about it! In the prior two RC versions there was a severe stuttering issue -- if anyone who was seeing that can confirm that issue in particular is fixed, we'd greatly appreciate it! AVWW Post-Release 1.059 "Release Candidate 6" Released! This one is yet another release candidate. There are still a couple of very teeny things we want to fix up this morning, but aside from that this is going to be the 1.1 version unless someone finds a problem. So if there's a problem, we definitely want to know about it! In the prior RC version there was a stuttering issue -- if anyone who was seeing that can confirm that issue in particular is fixed, we'd greatly appreciate it! AVWW Post-Release 1.058 "Release Candidate 5" Released! This one is our next release candidate. There are still a couple of very teeny things we want to fix up in the morning, but aside from that this is going to be the 1.1 version unless someone finds a problem. So if there's a problem, we definitely want to know about it! AVWW Post-Release 1.056-1.057 "Brimstone Highlands" Released! This one does yet some more polish/fixes, as well as adding some new content. The largest bit of new content is an entire new region type/biome (for the first time since beta started). The visuals and feel of this new region type (craggy highlands) are already really different from the other region types, but they'll get even more unique with time in terms of specific buildings and such. Additionally, continents in general now have more water breaking them up, making for interesting barriers you have to cross more often. And with the two of these changes combined, continents are now all-around large even starting with the first one. Beyond that, there's been a pretty hefty rebalance of all the spells to get them to a better place. Feel free to look at the AttackInfo.csv in the RuntimeData folder after you run the game once and let us know if there are tweaks you think we should make to our formula for determining the relative power of spells. Balance can never be reduced to an exact science, but we're much closer now than we were prior to this week, which is great. And that's not remotely all! Now settlement structures all give minor continent-wide buffs to your civilization as soon as you construct them. All the settlement structures have always had a purpose, but it's a long-game sort of purpose and presupposes that you plan on using guardian power scrolls and improving the skills of NPCs in the related professions. Now you get an incremental immediate bonus just from building the structure itself, which should help to erase the sense that some people had that buildings were "pointless" if they weren't playing a scroll-focused style. Another biggie is the addition of randomized enchant-style stats that are hardwired into individual characters, making them more unique. This is something that players on the forums were really excited about a few weeks back, and we only now have had time to implement it. But it means that now aside from the name/portrait/time period specific stats/base stats variance, there's now a completely random extra-bonuses variance with each character. The idea is that if characters are more unique (in the sense of hard to replace in an exact sense), that helps players to care more about them in a mechanical (as opposed to an emotional) sense. Oh, and we added a new monster and a new miniboss. The new monster is specific to the craggy highlands (except when migrating or as part of battlefield missions or anachronism missions, of course), but the new miniboss shows up in about half of the region types. Aside from last tweaks and bugfixes, this really is winding down toward 1.1. I'm not sure if that will be on Monday or Tuesday -- that depends on how fatigued the press seems on Monday, as well as how many bug reports/change requests come in for us over the weekend. But aside from this last jolt of new content to make 1.1 even more exciting, we're definitely trying to wind down and keep the bug count as close to zero as possible, so that then we can move on with larger new features for 1.2 after that. More to come next week. Enjoy! UPDATE: 1.057 is now out with some bugfixes. This one takes another step back from doing release candidates for the official 1.1. Sigh. It's not that the game isn't ready for 1.1 -- things are extremely polished at this point, and we're seeing diminishing numbers of small things that need to be tweaked each day prior to 1.1. However, E3 has been more of a disruption than we anticipated to both our distribution partners and the press in general. Releasing 1.1 right now would be a good way to largely get ignored by the press (though things are going well at E3 for us in the IndieCade booth, from the sounds of what Erik is telling me). We've therefore decided to push back the 1.1 release until early next week. In the meantime we're going to do last bits of polish (every bit helps), and cram in a few last features that were otherwise going to be features for 1.2. One of the big features that I'm working on at the moment is better internal tools for us to mathematically analyze spell balance, to get spells better balanced than they currently are. Things aren't super far off at the moment, but they could be better. Meanwhile, Keith has been working on a pair of (safe to implement) features that we had planned for 1.2 that I think you'll be excited to see hitting this official version rather than the next one. Those aren't complete yet either, but that's why the release notes are so short today -- several larger-in-time-commitment things going on at once. UPDATE: 1.054 has a couple of key bugfixes. UPDATE: 1.055 has one bugfix that we had to rush out. AVWW Post-Release 1.050-1.052 "Release Candidate 2-4" Released! This one has another batch of changes and fixes, as we're winding down toward finally releasing the official of 1.1. I don't think it would be wise of us to try for that today, because I want a bit more testing time with it, so probably tomorrow is the day at this point. If you see any issues with the new version, or play a bunch with it and see no issues, we'd love to hear of either case to help us decide what to do about 1.1. As always, we appreciate the feedback! UPDATE: RC3 is now out, with a bit more polish. UPDATE: RC4 is now out, with another new music track and some buffing to melee spells in general. AVWW Post-Release 1.049 "Yet More Polish" Released! This one has a ton more polish, including addressing the anachronism missions bug as well as a variety of seeding bugs. Not sure if we'll go live with the official 1.1 tomorrow or not, because of the scope of these changes. Indie developer Arcen Games is excited to announce the inclusion of A Valley Without Wind in this year's Indiecade E3 Showcase, as well as details on the massive (and free) 1.1 update set to arrive for the game during the show next week. Content additions and improvements abound across nearly 50 post-release beta updates set to make-up the first official AVWW post-launch release. Over 160 new room maps, 30 new enemies (such as the Nightmare Octopus and Dread Gazebo), seven new minibosses (such as the Giant Clockwork Wasp and Dark Dragon), new Freefall and Boss Delve missions, three new spells, five new enchants, five new music tracks, and over a dozen added or improved major features will be packed as part of next week's release. It's not all about the numbers though. We've worked heavily with the game's player base to address some of the major issues that were taking away from the fun factor. A rebalanced, streamlined strategic flow to the game has been worked in, vastly improving how players can navigate and progress their individual world. The reworked gameplay also encourages spell variety and experimentation by the player. Monster variety has also been tackled head on, not only with the aforementioned additions, but with the introduction of enemy elites and infestations/traps. Seeding of these dangers throughout all of the different regions has had yet another layer added to it, to make each chunk that much more of a unique area to the player. That goes for more than just monsters and infestations, there's better seeding in chunks regarding interior rooms, music tracks, puzzle rooms, NPCs, and more. Upgrade stones have been ditched for a reworked enchant slot system that adds flexibility to character creation/customization, with time-period bonus abilities and new options such as re-roll and rename offered for characters as well. 'What else' you say? The Opal Guardian Store is open for business and accepting your hard earned consciousness shards (which are now all the same color) collected in the wild as currency, the shopping list arrives as part of an improved planning menu, windstorms have been tweaked so that they're more fun and more of a threat to take on, exploration with the minimap is much better, and the game now offers support for texture packs. It's truly an exhausting list of stuff, but it's all in effort to make huge refinements to the core concepts we've been building on. Almost everything you love as a player is still there and made better, and the major items annoying players have been addressed and majorly reworked. All this will arrive during our showing of A Valley Without Wind at E3 2012. We're excited to join a slew of other indie developers to exhibit our game as part of IndieCade's Showcase booth. The booth will be open during exhibiting hours June 5-7 and is located in the Concourse Foyer at the Los Angeles Convention Center (on Level 1 in the West Hall entrance). The full version is available now on PC and Mac. A demo is also available, and grants full access to the game/multiplayer with only some tier restrictions. Even though AVWW has launched, it continues to grow with new content and improvements added nearly every weekday. Follow the game and its updates/discussions on Facebook, Google+, Reddit, and Twitter. To be a part of how AVWW evolves in any and/or all of its aspects join the ongoing discussion taking place within our forums. For members of the media: review keys and press kits are available upon request. AVWW Post-Release 1.047-1.048 "Actually, Back To More Polish For A Few Days" Released! This one adds yet more polish tweaks, and also adds a new way to give orders to NPCs during rescue missions -- something folks have wanted for quite some time! We've decided to wait a bit longer on the official 1.1, after giving it a lot of thought. We're pretty much there polish-wise so far as we know, but there hasn't been as much testing-time on these builds as we'd like. Therefore we're going to take our time a bit, make sure this release is as squeaky clean as we think, and build in a few last "safe" features up through Monday or so. Assuming nothing goes awry in the meantime, we're planning on an official 1.1 release on Tuesday. UPDATE: 1.048 fixes a fairly rare null reference exception that could happen on multiplayer clients in some circumstances.